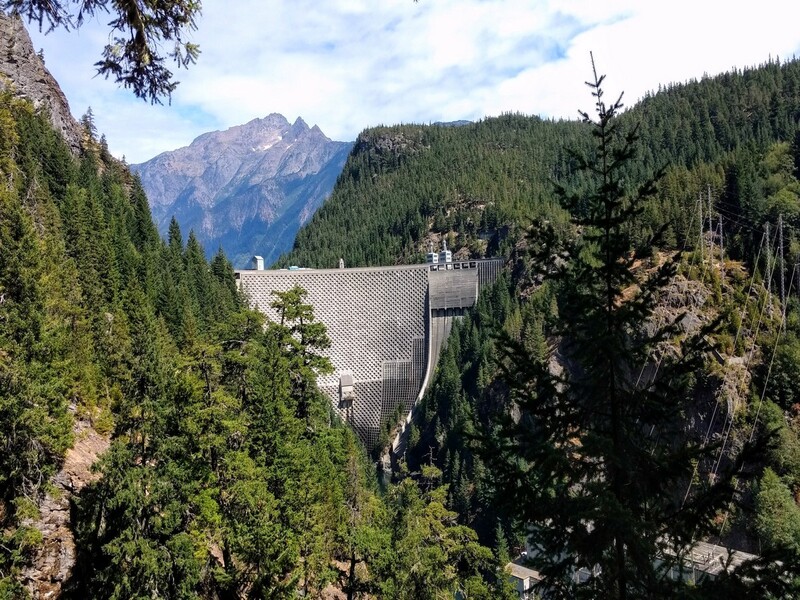 Have you considered booking a vacation to the North Cascades National Park? 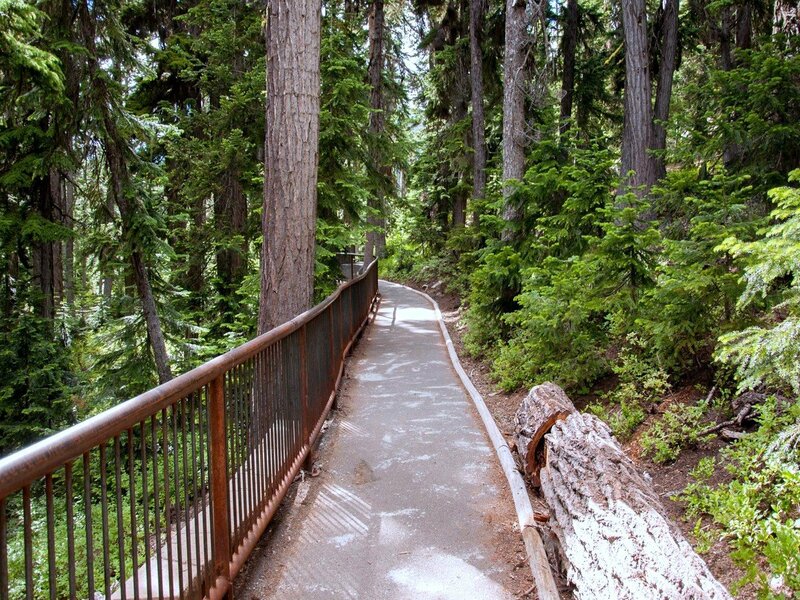 This beautiful park in the state of Washington makes for an excellent hiking vacation. 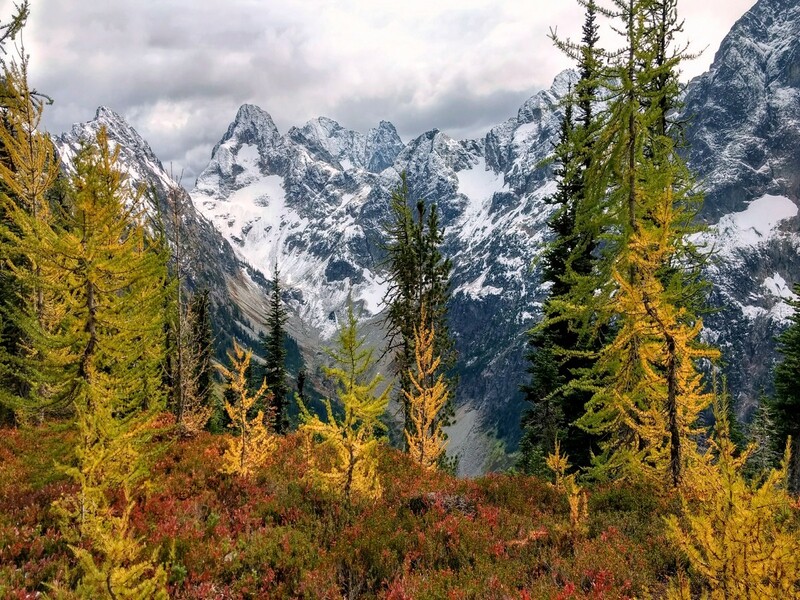 Whether you want to stay in Mount Vernon, or find a hotel in Bellingham, a trip to North Cascades National Park is a great idea. The North Cascades National Park is a beautiful area. 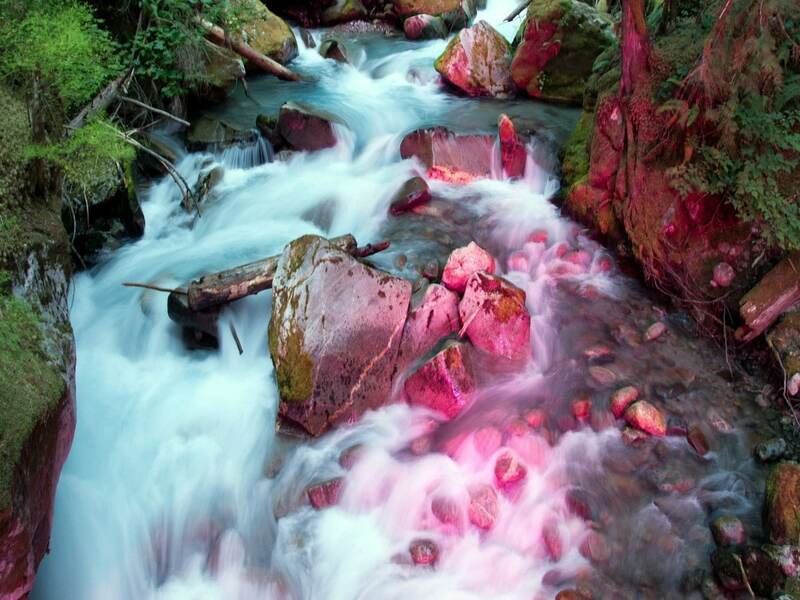 Lush and mountainous, this Washington State Park butts right up against the Canadian border. To be more accurate, it actually continues up into Canada; however, that section of park is known as the Canadian Cascades. A vacation to the North Cascades usually will mean staying in either Bellingham or Mount Vernon. Some folks will stay out in the beautiful Anacortes, making a day trip or two out to the North Cascades, but that commute from Anacortes might be too far if you really want to spend time in the park. For that reason, we’ve focused this article on accommodations inside the park, Bellingham, or Mount Vernon. The park is truly beautiful. It’s surprising it wasn’t made into an official National Park until 1968. Locals fought for a long time, since the early 1900’s, to make it a national park. They were correct in their argument that some sections of the park had scenery “greater than Switzerland’s”. 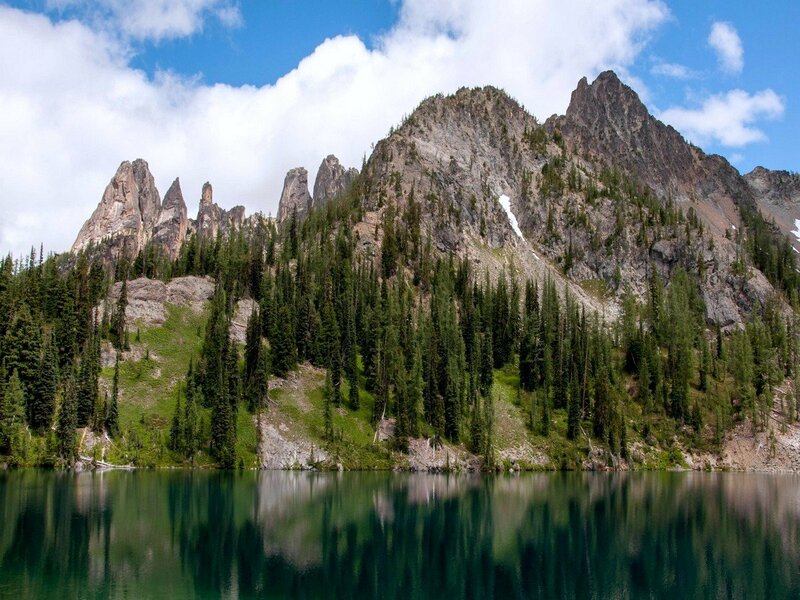 You should start booking your vacation to North Cascades National Park. The hiking will blow you away. Seattle-Tacoma Airport (SEA) is the common answer when looking at flights into either Bellingham or Mount Vernon. The drive to Mount Vernon is around two hours and the drive to Bellingham is two and a half hours. This might be longer than most want to drive after flying. There is a Bellingham airport shuttle for those interested. Or, if the city you’re flying from has the option, you can fly into the Bellingham Airport (BLI). If driving across the border doesn’t sound too taxing, you can fly into Vancouver International Airport (YVR), but it’ll only save you an hour of driving if you’re staying in Bellingham and that’s not including border wait times, which can vary greatly. We like to plan our visit sometime between April and September, but the warmest months will obviously be July and August. Some roads will close in the winter, typically happening at the end of October; so much of the park will shut down at that time. Snow can linger on the higher roads up until July and, as you can see by the chart, the park itself doesn’t get terribly warm. 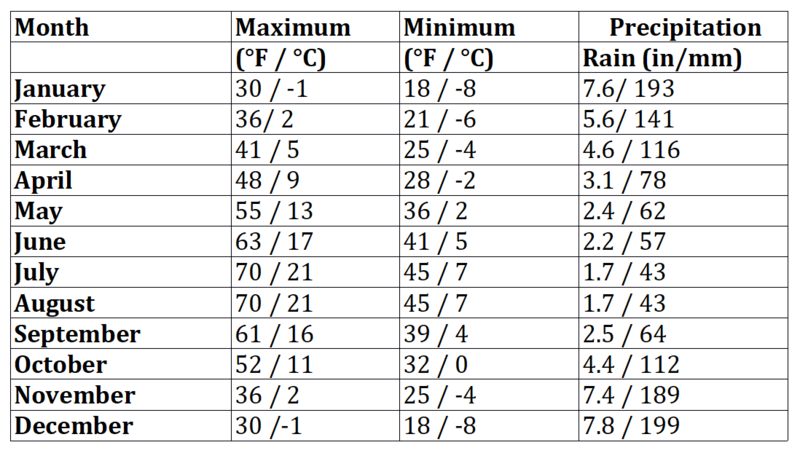 Bellingham and Mount Vernon are warmer than the park itself. A great time to visit is during the Skagit Valley Tulip Festival during the month of April. There are some great tulip festival events in Mount Vernon at this time as well. Unless you’re staying at one of the two small lodges inside the park you will need to rent a car.  This is a large park – over half a million acres – so, having a car is essential. You can find some shuttle services from Seattle airport to Bellingham or Mount Vernon, but past that you’ll need a way into the park. We recommend staying inside the park if you can. It’s a big park and the less transit time between you and the trailheads the better. The best chance at this is the fantastic Stehekin Valley Ranch. This is a really neat way to experience the park because you’re actually in the centre of it. They have lots of vacation packages where they provide all the meals as well as a few activities. 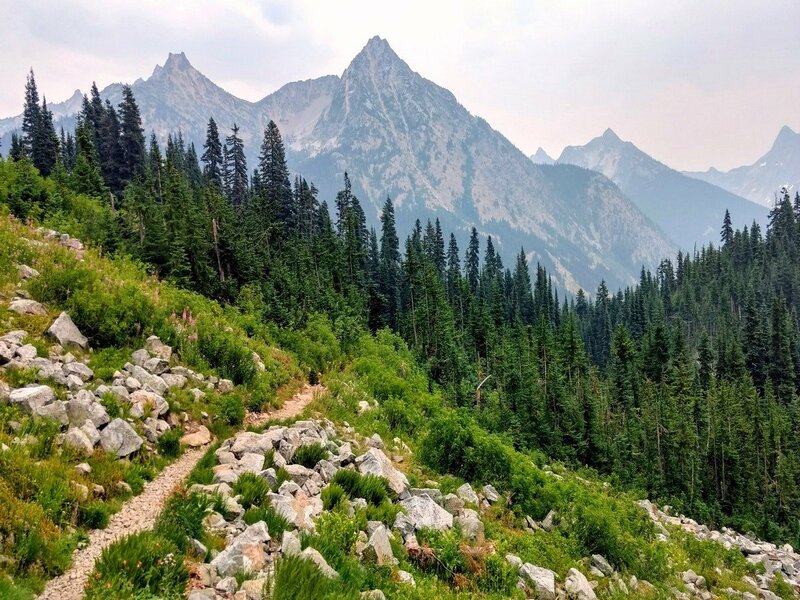 If you don’t want to have to plan your time in the North Cascades Park, let the folks at Stehekin Valley Ranch to take care of it. Then there’s the Ross Lake Resort. It’s not as good of a location, but it’s still closer than Bellingham or Mount Vernon. This is a fun resort given that it’s right on the water. Each cabin comes with full kitchens, and since there’s no restaurant or store nearby, you bring everything yourself and it gives you a chance at some solitude. 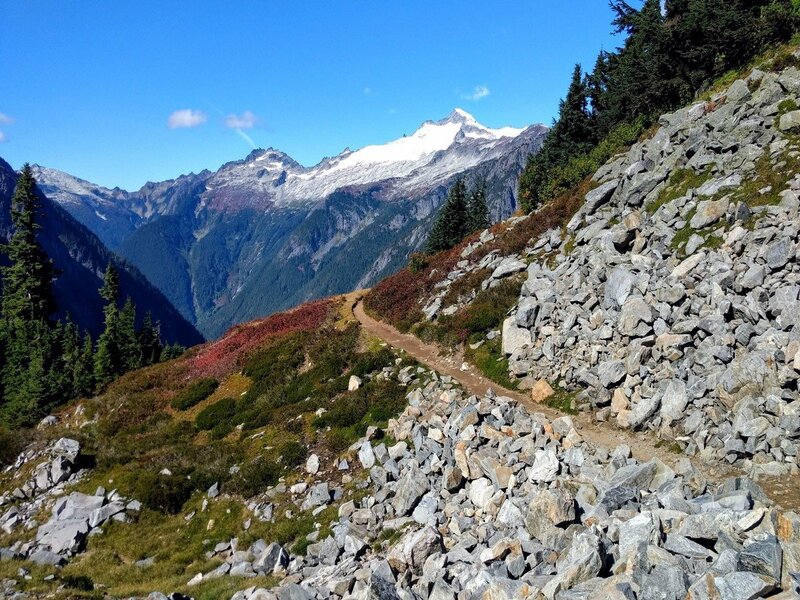 This is a great way to plan a trip to North Cascades Park. The other option to stay close to the hikes would be camping. Our favourite campsite, especially for families, is the Newhalem Campground. It’s close to the small community of Newhalem; they have loads of facilities, like a cooking area, a covered lounge, and more. If you’re thinking of staying in Mount Vernon, you can expect quicker access to the south side of the park as well as it being only a two-hour drive from Seattle. The town has a population of around 30,000 and, despite its proximity to the North Cascades, we like that it doesn’t feel terribly touristy. Our favourite hotel in town is the simple Tulip Inn. It’s nothing fancy, but we love its local feel. They also have a decent continental breakfast. Outside of the Tulip Inn, Mount Vernon has a lot of cute, west-coast bed & breakfasts. Our favourite B&B is the Pleasant Ridge Bed & Breakfast. The rooms are updated, the food is good, and they have adorable goats and chickens too. The Highland Garden House Bed & Breakfast is another great option in Mount Vernon. The rooms aren’t quite as updated, but the location, right in Mount Vernon, is superior. Both B&Bs are great options. The city of Bellingham has a larger population (around 90,000) and being a coastal town gives you some great options with seaside views. Hotel Bellwether is a great example. This luxury hotel is right on the water. There’s a great restaurant, a spa and most of the rooms have jetted tubs. The B&B we recommend in Bellingham is the Viewmont Manor. The Viewmont is a lovely home. The rooms have private bathrooms, they have scones and coffee by your door each morning, and there’s a great garden that you can relax and enjoy meals in (if the weather agrees with you). We would also be remised if we didn’t mention the MoonDance Inn Bed & Breakfast. It’s little pricier than Viewmont and we think Viewmont’s house has an upper hand, but the MoonDance is right on the water, and with their coastal fire pit is amazing. Both are great options. We would visit either place again in a heartbeat. Bellingham and Mount Vernon aren’t your typical tourist towns. They don’t have as much fanfare and flash, as you’d expect. What we like about this is that it makes for a more local experience while traveling in Washington State. The restaurants we mention aren’t your over-priced, small plate, fine dining experiences. Our top restaurant pick is delicious, but it has entrees in the mid $20 range not the $40-dollar range. That restaurant, by the way, is D’anna’s Café Italiano. They started as a fresh pasta company, selling to upscale restaurants around Seattle. They then decided to open their own restaurant and over twenty years later they’re still going strong. They’ve been voted the city’s best Italian restaurant for the past eleven years in a row. Rock and Rye Oyster House is the place to go if you want to sample the fresh flavours of the sea. You’re on the west coast; so, if you enjoy seafood make sure to take advantage of your location. Our favourite thing about Rock and Rye is getting a big bowl of muscles, and a stack of crusty bread to soak up all the sauce left behind. Another region-specific specialty is craft breweries. The west coast loves craft beer and Bellingham is no different. The best combo of brewery and bistro in town is the Boundary Bay Brewery & Bistro. The menu is big enough to please everyone, and while the food isn’t revolutionary, Boundary Bay has the best tap list and menu combination of any of the brewpubs in town. If you’re looking for a breakfast spot that could also pack you a sandwich to take on your hikes, try Avenue Bread & Café. They have four locations in the area, so they are easy to find. If you’re on your way into the Park—or out of the park—on State Route 20, take a stop at Marblemount Diner. Of all the little diners and drive-ins along this road, Marblemount is our favourite. It certainly isn’t anything too special, but that being said chances are good you’ll want to pick up a sandwich for your hike, or that you’ll need a bite to eat on your way in. It’s a bright yellow building so it’s hard to miss. Make sure you try a milkshake! Our favourite place in Mount Vernon is the charming Calico Cupboard Café & Bakery. They’ll make you breakfast or lunch and they can fill up your backpack with healthy bars and muffins to fuel you while you hike. We went to the Calico Cupboard often while staying in Mount Vernon. For dinner, check out the Skagit River Brewery. Their food is very good, and so is the beer. It’s an honest bar that cares about making food that’ll enhance the already delicious beer. Any place with soft pretzels and deep-fried pickles on the menu is fine by us. If you need a cheap dinner that you can just take back to the hotel room, go to Tachawadee Thai Café. It’s simple good Thai food. The locals love this place, so it’s almost always busy, but it makes great takeout. 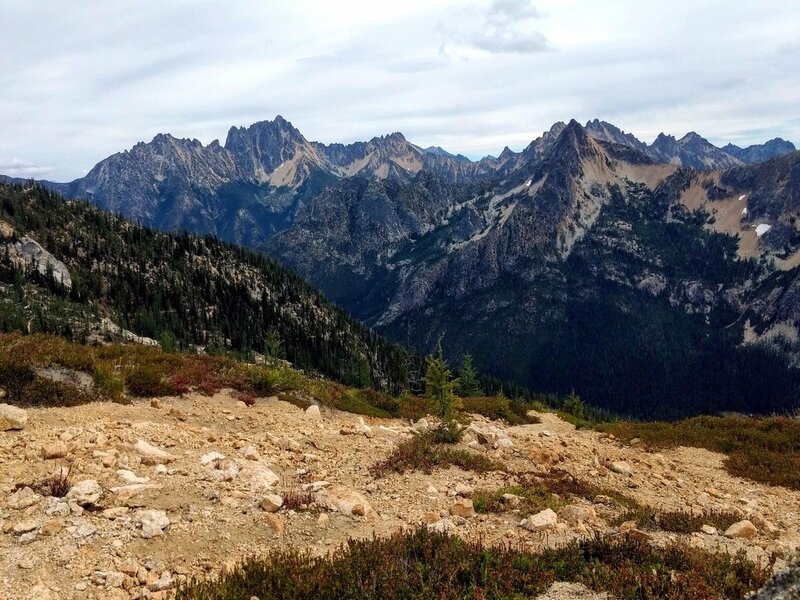 WHAT ELSE CAN YOU DO BESIDES HIKING IN North Cascades National Park? 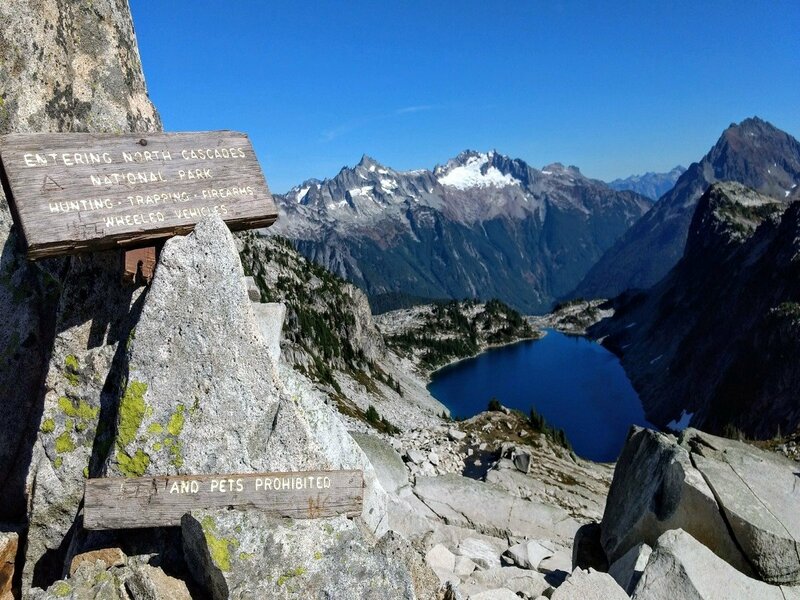 The North Cascades are well-known for the great hiking and backpacking, and many visitors come only for that. If you’ve been spending all your time hiking through the mountains and valleys, maybe you’ll want to take a break out on the water? If you’re staying in Bellingham, use Triad River Tours for a white-water rafting trip. They’re a larger company, so they have years and years of experience as well as al the necessary resources. The rapids near Bellingham are really fun. They’re not too intense, but not boring either. If you want to hit the river in Mount Vernon talk to the people at Skagit River Eagle Tours. The Skagit area has one of the highest concentrations of eagles in the US. You won’t be white water rafting on this tour; they take you out on small boats while the guides point out the eagles on the banks. Maybe the river isn’t quite enough. Head out on the ocean with the crew of the Schooner Zodiac. They do single or multi-day cruises in the area on their beautiful ship. Our favourite is their Ales N’ Sails tour that stops at a few breweries as you travel up and down the coast. Mount Vernon is famous for its tulips and tulip festival that happens each April. For that reason, its biggest attractions are the gardens. The two best gardens in town are the Roozengaarde Display Garden and Tulip Town. You’ll want to check ahead of time what the gardens are like if you’re not traveling in April. For a rainy day in Bellingham, take the kids to either the Mindport or the Spark Museum. They are on the same block and they both have fun interactive exhibits that kids of any age seem to enjoy. Check out Blessing’s Salon and Spa in Bellingham if you’re looking to get some tension out after a long and strenuous hike. Not every activity has to be active! 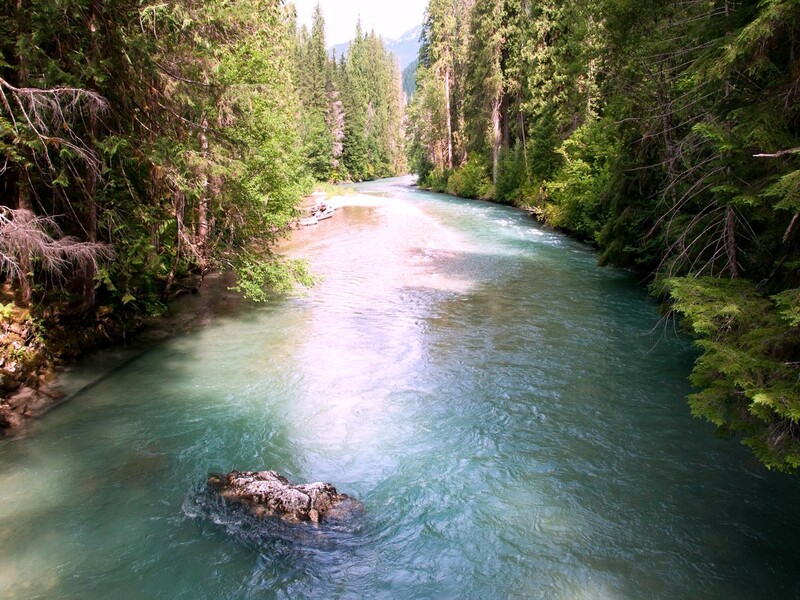 Plan for some relaxation while planning your trip to the North Cascades. Not only is it unsafe to leave food and garbage unattended while camping it is also illegal. Bears, cougars, and wolves make their homes in the North Cascades. To avoid contact, be respectful of their habitat, keep bear bells or make extra noise while hiking to avoid startling one of these animals. Always pack bear spray. Due to the elevation, weather can change quickly. Make sure to bring multiple layers. When in the backcountry oiling, treating or filtering surface water prior to consumption is recommended. Everyone who uses the backcountry must strive for “leave no trace” camping. If you pack it in, pack it out. There is no cell phone reception inside the park. Bring a phone card to operate the one public satellite phone in the valley. There is no ATM and very limited groceries inside the park, so bring in what you need.